The American Shorthair is a versatile, easygoing cat who gets along well with children. The American Shorthair is a medium-to-large powerful cat with a broad chest, muscular neck and strong jaw. Females are generally slightly smaller than males. Ears are rounded at the tips and set as high on the head as they are on the side. American Shorthairs have large, wide (and wide-set) eyes that come in colors of blue, copper, green, gold, hazel and odd-eyed (the eyes are 2 different colors). The tail has a thick base and tapers toward the end. Its length should be proportionate to body size. The American Shorthair’s coat is short and straight, coming in a bevy of colors, such as white, blue, black, cream, red, silver, gold, brown and cameo. This breed has several coat pattern styles, such as tortoiseshell, solid, calico and smoke. The first recorded breeding of this cat was around 1904 with at least one of the parents being a British Shorthair. This cat was bred to be strong and healthy so it could keep control over the rodent population. Because this breed spent most of its time outdoors, its coat is thick, protecting it from the elements. The breed was originally known as the Domestic Shorthair. In the 19th century, the CFA kindled interest in developing and showing a shorthaired cat representative of America. In 1906, this breed was recognized as one of CFA’s first 5 breeds to be recorded. 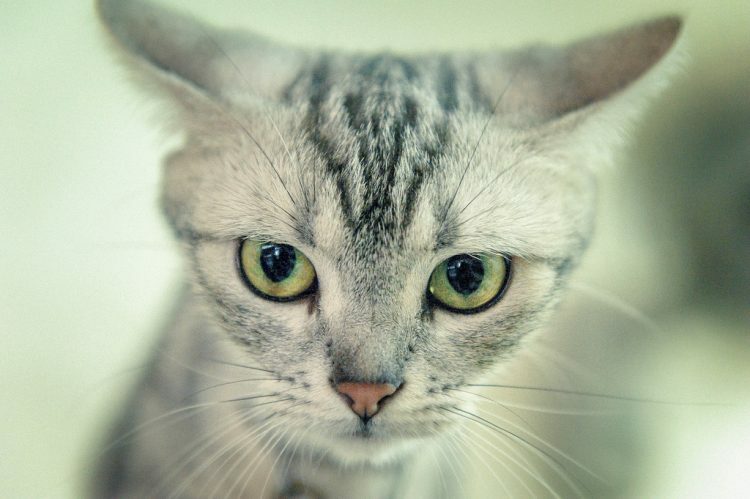 The American Shorthair is friendly, laid-back and gentle. They make excellent family pets for households with children due to their easygoing temperament. 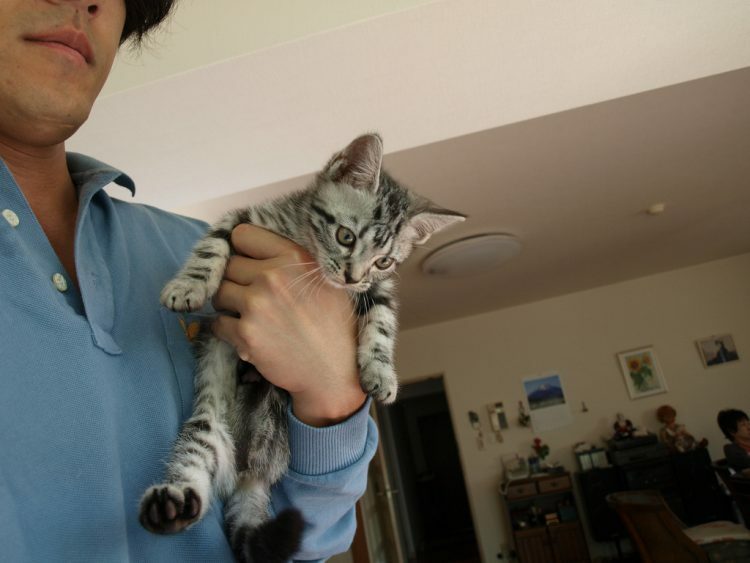 An affectionate breed, American Shorthairs can also tolerate being left alone for several hours at a time. If you work and cannot be home for several hours a day, this breed may be for you. This breed loves to play and will make a toy out of anything. 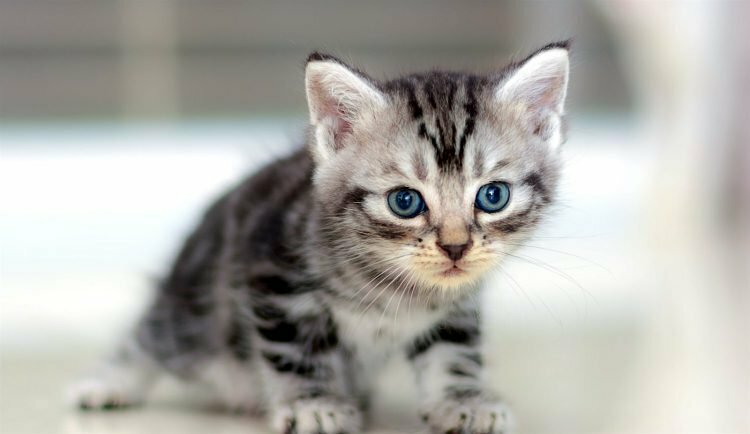 American Shorthairs will particularly enjoy interactive play with their humans, which will help battle this breed’s tendency toward obesity. MEDIUM: The American Shorthair loves to play, and you should make a point to play with yours a few times a day. Active playtime is important to help battle obesity in this breed, particularly with indoor cats. MEDIUM: The American Shorthair has a short, thick coat that needs daily brushing to avoid burrs as well as to combat moderate shedding. During high shedding seasons, increase the frequency with which you brush your American Shorthair, if necessary. It is likely that an American Shorthair lives closer than you’d think, whether in a local animal shelter or a rescue. Check nearby to see if there is an American Shorthair waiting to join your family. If you must go through a breeder, do your research. Breeders should not try to sell you kittens under the age of 12 weeks, and initial vaccinations should already be done. Ask for medical records and parental histories.